Nobody's waiting for a punch, Howard. Nobody's waiting for a punch. My hands are enough, that's a sucker punch. KC, KC did knock A. J. now. KC got off good one. Hold on. Donald Trump -- Donald Trump is on the phone. Donald Trump is on the phone? How are you? Listen, I told you that A. J. was a loser, Howard. I've been telling you that for a long time. And listen, if I'm advising John, John, are you listening to me? Now, I'm a rich guy, you're a poor guy, just listen. The first thing you do and I have to tell you that Tom is right you ought to throw A. J. the hell out. You bring a lawsuit against A. J., you get everything he makes, which isn't much. 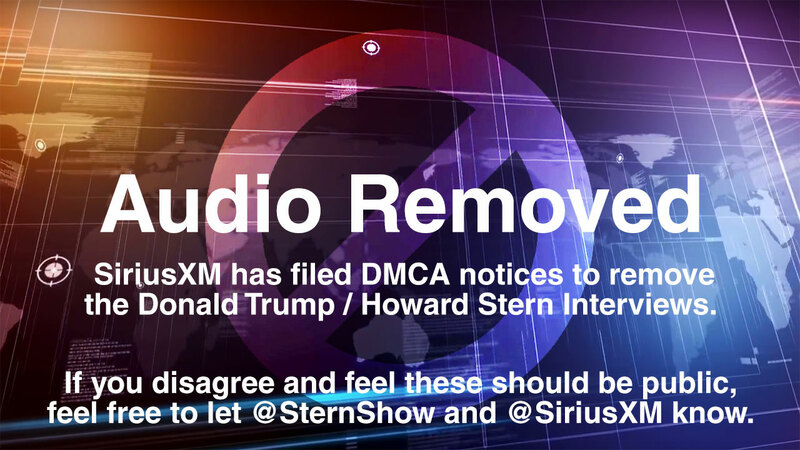 Sadly, and I love Howard, but sadly I have to bring the lawsuit against the show because they're the only ones with any money. Lisen to me, John. What do you have to do, John, is leave immediately bring a lawsuit against both, and you're going to become a rich man you're never going to have to work again and suffer the abuse of getting [Inaudible]. You see that, there is millions in it for you, John. Tom is 100% right, that's why he's throwing A. J. off the show, Howard. I have a gag order against Trump. I can't talk about it. Is that right? What do you mean you have a gag order? This was last time you were on the show and you talked. He got a gag order against you? Donald, what is a gag order? We signed some papers about what we shouldn't say to each other and I haven't brought it even once. So, now and he's broken the gag order. He's broken the gag order. So, that means that I can put my next book and put it in the movie, portray when I want to portray him. Hold on, I guess so. Where there certain things you're not talking about or just not about each other in general? He didn't like -- Well, he just said he didn't want to in this book and didn't want to portray in the movie. Zolar thinks he has some information that will help him. Well, let's turn to someone who is -- Zolar is very solemn and all. Yes, Zolar? First of all I always call in and tell John my topic and then at the end before I hang up I say A. J. how many guys did you give a BJ to. To get that job. And I.